If the barometer of success for any marketing strategy boils down to ROI, it’s time to consider the PDF file as one of the most overlooked ways to get the word out about your product or your service. If you consider the myriad of ways to draw potential clients to your business, few are as easy to put together, as cheap, or as effective. A graphic designer needs to be employed to handle the layout. A completely separate company needs to be hired just to handle the printing. Finished leaflets then need to be distributed. Now consider how those steps can be refined and made more cost effective with a PDF file. Virtually any word processor or design tool can be converted into a PDF file. A final PDF can be distributed with a single click of a button in an email blast, or via per click advertising on almost any social networking site. With a PDF no materials are wasted and no leaflets get unceremoniously tossed in the garbage. Save a tree. 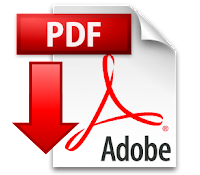 Catalogues – PDFs are specifically designed to integrate images with text. They are quite literally the digital gold standard for delivering professional looking, unalterable, designs modeled after traditional print publications for the digital age. Informational Material – For service companies, educating your client base on what you provide can help establish trust and offer them a reminder that they may be in need of your service. A well-targeted PDF tutorial, offering something as simple as a quick tip, can often spark in the minds of your clients a number of ways that they can use your service. Promotional Video – With easy-to-use screencasting software such as Camtasia and Screenflow, it’s simple to turn a PDF file into a promotional video that can be quickly embedded onto your website or on various social networking sites. The total cost for all of these methods are a fraction of the costs associated with conventional print materials, billboards, radio, and television advertising, and by using social media, the reach is even greater. By now it should be clear that the PDF is able to profit from the fact that it can travel digitally and has a demonstrable versatility. But there are still a few more points that make PDFs so handy. They’re Unalterable – No matter what design tool you’re using whether it’s Microsoft Word, Adobe InDesign, Photoshop, it doesn’t matter, converting to PDF places the final stamp on a design and makes it final. When it goes to the world it can not be imported and have it’s design components altered, leaving copyright and design control in the hands of you and your company. They’re Universal – Unless you’re dusting off your old Amiga, chances are your PDF will be read by any device from a PC to an iPad. It will always look just the way it was intended and never suffer from corruption by crossing platforms. They’re Light Weight and Cheap – No heavy boxes to move around and, in fact, PDFs require minimal amounts of space on your hard drive. Just about every software tool under the sun has a “save as PDF” option. Total cost: $0.